Home » Lighthouse Blog » What Are the Pros and Cons of Buying a Fixer Upper? What Are the Pros and Cons of Buying a Fixer Upper? If you’ve decided you want to buy a home, you’re most likely scouring the market for the perfect option for you. This problem can complicate when you weigh in the option of buying a fixer upper home to renovate. Many people who buy a fixer upper either plan to flip it for a profit or plan on living in it. Should I buy a Fixer Upper or Move in Ready Home? A fixer upper can save you money, but that’s not always the case. And is it really the option for you? Keep reading to learn the pros and cons of buying a fixer upper. You can save money: You can buy a fixer upper home for not a lot of money. And depending on how much work the home needs, you can end up making a pretty decent profit on it. When buying a fixer upper, it is important to honestly evaluate exactly how much work will need to be done. Have an inspector come through your home and look for potential hazards. You can make it your own home: Renovating a fixer upper allows you to put personal touches on your home. Did you want an extra downstairs bathroom? Or a large walk in closet? When you buy a fixer upper to renovate, these changes are more than possible. It’s a gamble: While an inspector can do a walk-through of your home to determine what potential hazards they see, that doesn’t mean others won’t pop up. 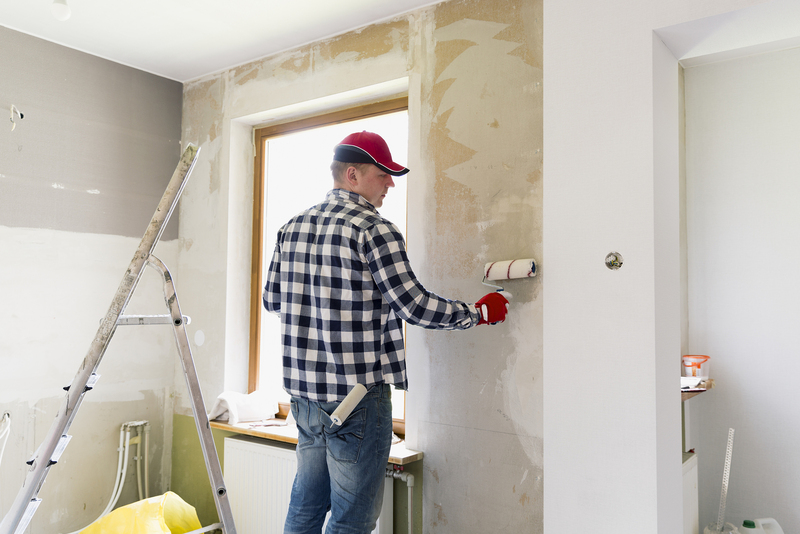 When buying a home that needs work, you may end up with a home that needs a lot of work. Even when you plan out all of the foreseen renovations, it is more than possible that others will pop up. You may end up stuck with it: The housing market can be a roller coaster. And if an unforeseen circumstance arises where you lose your job or need to get rid of the house as quickly as possible, you may not be able to do so. Or if the housing market is done, you may end up taking a loss for it. When renovating a fixer upper, people oftentimes will end up living in it during the renovations. While this really saves on costs, it creates the problem of finding a location to store their belongings during this time. A self storage unit can help to get these items out of the home, and in a secure location ready for you when your renovations are completed. Lighthouse Self Storage has storage facilities with household storage units California and Florida, including Carson, CA, Fort Lauderdale, FL, Westminster, CA and West Palm Beach FL. Our 5×5 and 5×10 storage unit are ideal for the storage of smaller items, while the 10×10 storage unit can offer your full-house storage solution. Contact us to rent a storage unit today!